Everyone who has never been to London should visit the unique place because it has a lot to offer to every traveller at every age. The location of London. London is situated in the south part of England on the edges of the Thames River. It is the most populous city in the country and the capital city of England, the United Kingdom and the Great Britain. London is also home of British Queen – Elizabeth the Second and Royal Family that resides mainly in the Buckingham Palace. London is full of interesting places that lure the tourists who visit the city. Nevertheless, it is never too late to go to the city because London is a fascinating city all year round. The city is visited by about 19 million visitors a year making London one of the most popular tourist destination in the world. One of the main tourist attraction is definitely The London Eye. It was constructed to celebrate the beginning of the new millennium. At present, its name is changed every few years and this year, it is called Coca-Cola London Eye. Another place worth seeing is the Madame Tussauds’ Wax museum. In this place the visitors have an opportunity to meet with the famous people from music, sport, film, politics and more. Moreover, there are also famous historic characters such as Napoleon Bonaparte, Adolph Hitler and a lot more. What is more, every figure is presented in the real size so the visitors may compare themselves with the wax figures. During the visit, the visitors get rid of hung-ups and realize that some of them are slimmer or taller than the celebrities. 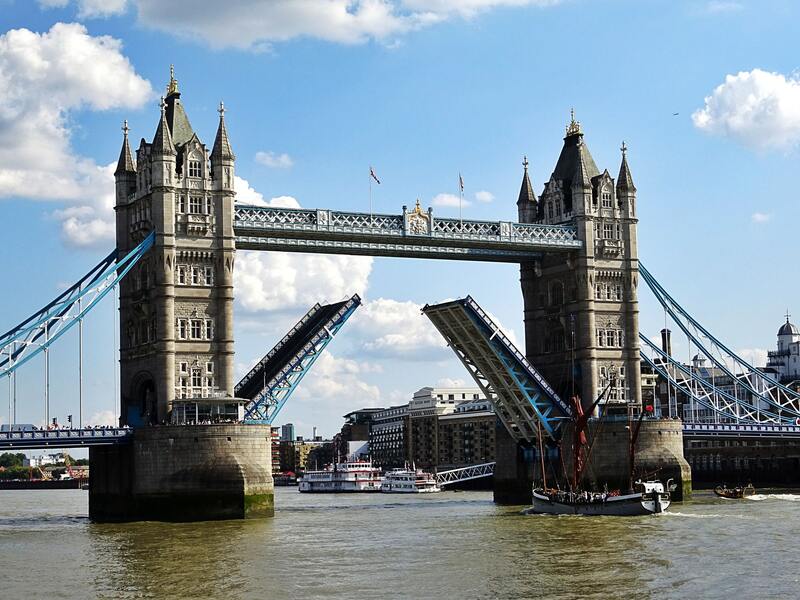 Moreover, it is also worth visiting the most breath-taken UNESCO World Heritage Sites that are following: the Tower of London and Kew Gardens, the Palace of Westminster, Westminster Abbey and St. Margaret’s Church. How to get to London? When you are already in the United Kingdom you should not have any problems reaching the capital city. You may travel easily by car (there are several motorways that go to London) or by train. You may also select travelling by plane when you dislike the idea of travelling by car. The city is served by six (!) airports that are following: London Heathrow Airport (the busiest in London as well as in the world), Gatwick Airport, Stansted Airport, London City Airport and London Southend Airport. It means that travellers from every corner of the globe are able to visit the city and feel the special atmosphere of one of the most developed cities in the world.